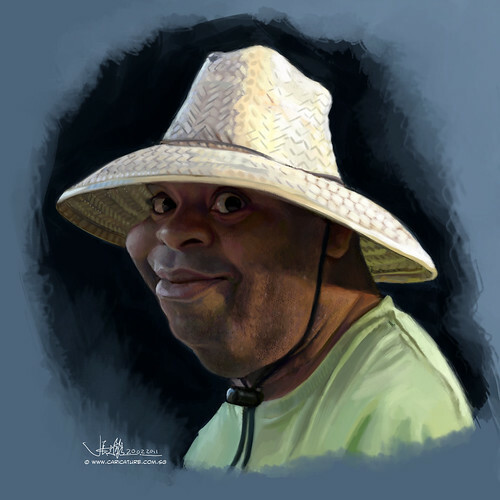 Lemorris is one of the best car caricaturist I have came across online. I was blown away by his works when I first saw his works on Facebook. He likes my works too. Thus, we agreed to exchange caricature. He will draw a caricature of my car and I will do a caricature of him. I came up with a digital sketch of him. 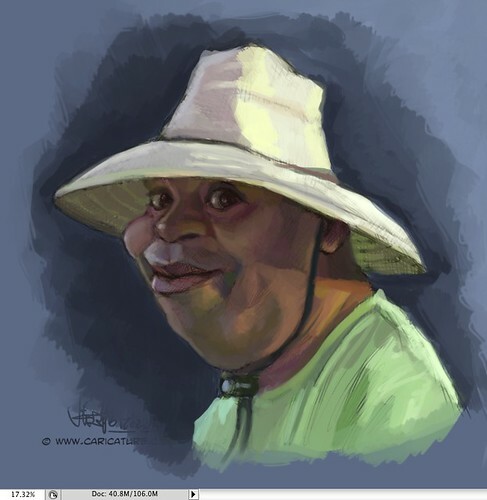 Boy, this guy has great features to caricature! 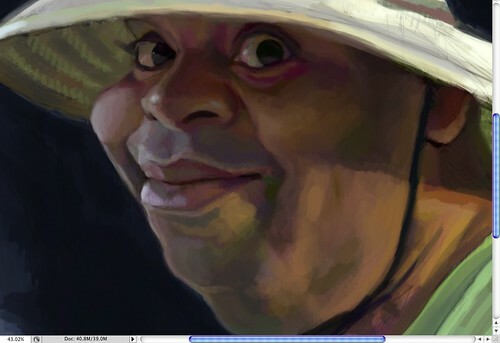 Blocking in the values, and this reference photo has great lighting and colours to work with. The light came from his back, and half of his face is under the shade. No pure white on the highlight of his face. Challenging and fun! Tightening the painting and added in the skin texture. 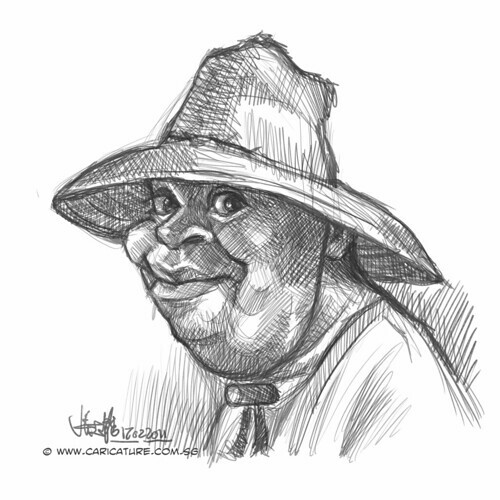 The tougher part of this caricature lies in his hat. The little details of the hat is killing me. It is testing my patience. I tried to simplify the details, but not making it like a wishy-washy job done. 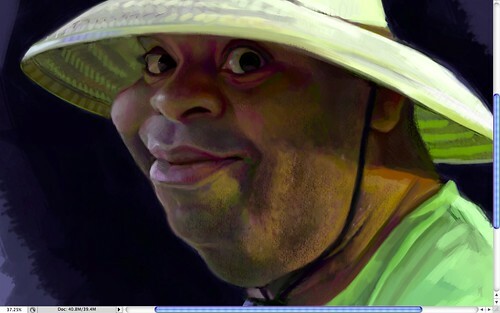 I really enjoyed this painting process (his face only....lol!!! ).